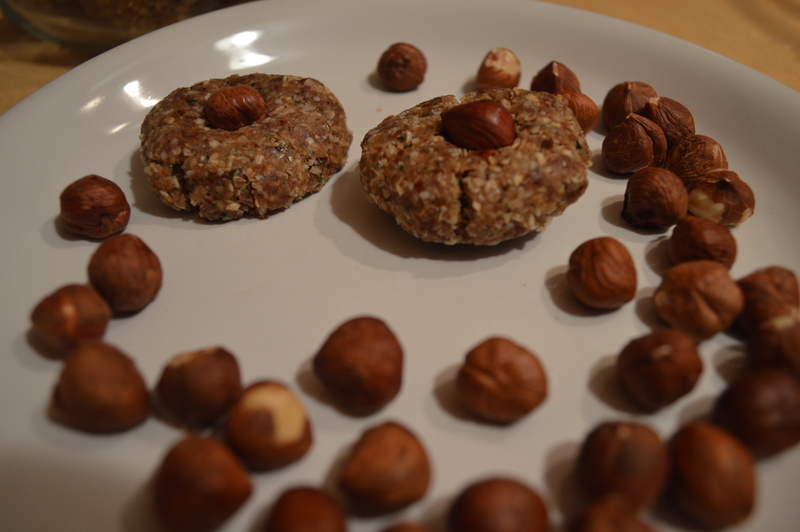 These raw and good for you cookies are a snap to make in your food processor. No waiting time to bake or let cool, just blend up and form into balls and done!!! They are a great treat or even a filling snack when you are on the go. Even our 14 month old daughter Jade loves them too! I blended the dry ingredients first just to make sure they were a smaller size our toddler wouldn’t choke on, but you can just blend them all at once for a more chunky consistency. Then after blending the dry ingredients I added the others to the food processor. When it is done it is still pretty crumbly, but you know it is the right consistency when you can form into balls, makes a dozen almost golf-ball sized cookies.